My family and I are always interested in rocks and rock forms. We actually love looking at and collect rocks. We examine them everywhere we go. We pick them up and are VERY excited if we find some in bright colors. Needless to say, we were excited about The Mineral Book by David McQueen. He did a wonderful job on this book. My favorite characteristic in this book is the level division of the information. A parent or teacher can turn to any page and level the discussion or activity based on these leveled sections within the book’s pages. Each chapter begins with a mineral focus at level –two understanding. The pictures are vibrant and would be a perfect match if paired with real samples. The text includes the mineral focus, chemical formula, Crystal system, hardness, luster, and streak for each mineral, which could lead to so much fun investigation. Definitions, bible integration, and fun facts also fill the pages. Integrating health, science, geography, art and math were easy with the facts included in this book. I have yet to be disappointed by a Wonders of Creation production. You can also find The Ecology book, The Archaeology Book, The New Astronomy Book, The Cave Book, The Geology Book, The Fossil Book, The Ocean Book, and The Weather Book. To read more about this title see: Moms of Masterbooks or New Leaf Publishing. 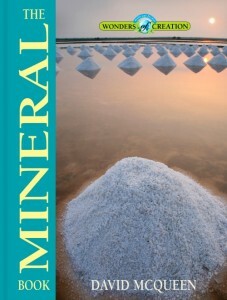 To see a sample of The Mineral Book Click Here. By Lainna Callentine, M.Ed., M.D. This text is simply marvelous. I absolutely love the wonderful detail in all the pages. I was able to review this book at a time in which I was simultaneously studying Dr. Caroline Leaf’s discoveries on the brain. Dr. Lainna Callentine pinpoints the same detailed information at a child’s level as this book is geared toward 3rd through 6th graders. With information about the central nervous system, your child or student will be able to capture the importance of how the body works. This book is a great asset for homeschooling moms and teachers in the traditional classroom. 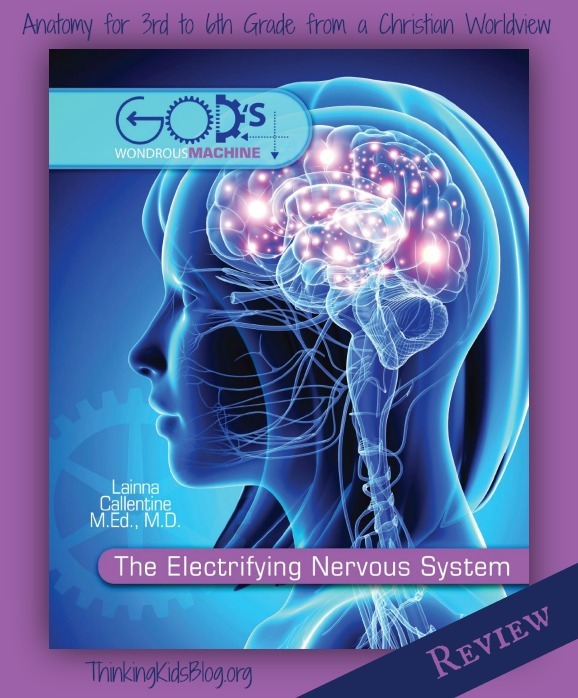 The Electrifying Nervous System is full of scripture connecting science with the Word of God. I can’t say enough about Master Books illustrations and photography as this book does not leave anything to be desired with the visual content. From vocabulary and history to wacky and weird facts, this book is bound to entertain and educate all interested readers! Posted: December 11, 2014 | Author: schelastic.com | Filed under: Book Reviews, Curriculum, DVD Reviews, Parent Food | Comments Off on Top Five from Masterbooks! Masterbooks has put out some great book this year and I have been a VERY happy camper as part of the Moms for Masterbooks blogging team. I received the privilege of reviewing these books and have a copy of some amazing creations. Hence the reason for this particular blog, I am putting together my favorite five for the year!!! This was a very difficult choice as I have enjoyed several of the books as much as my children have loved them. I put together my list based not only on my personal reaction to the books but my children’s as well. I categorized them by how much we all liked them to get the top five. SO, here we go….. Number 5 is …. It’s Not Greek to Me DVD ! This was a fun curriculum for a beginner in Greek. We had a fun time Greek into our days and learning from the videos. This was more me than my children because this is really for more mature students. Number 4 is …. Galapagos Islands ! I really enjoyed this book, also for a more mature student. As we flipped through the pages, the children thought the book had great pictures and took interest in the stories behind the studies. A great resource for those studying creationism. Number 3 is …. The Flood of Noah ! This is a most interesting book about the story of Noah. We all enjoyed the historical accounts from around the world marking the similarities and differences in the legendary story of the arc. Number 2 is …. BUGS ! This by far, had to be one of the most amazing books of the year! We all agreed that there is not denying a wonderful creator had to be behind these amazing creatures. We had so much fun oohing and awing at the bugs illustrated in this fabulous work. You will not be disappointed either. And Number 1 on our favorites list is (can I get a drum roll please!) ………………………………….. 44 Animals of the Bible! What can we say? LOVE! LOVE! LOVE! We really enjoyed this book. The book brought the animals to life for my children and they had a wonderful time looking at the pictures and reading about them. I had a great time showing them the biblical references and for animal lovers you just can’t beat it! We hope you enjoy looking up these great works and enjoying them with your family as well! For more information see Moms of Masterbooks. All these books were free from the Masterbooks program- Moms for Masterbooks blogging program. All opinions expressed are my own. “In the beginning God created the heavens and the earth” Genesis 1:1. The New Astronomy Book By Danny R Faulkner starts off right! With such controversy between creationist and evolution, the battle just doesn’t seem to end; therefore students need to be knowledgeable of both points of view. The author divided this book into three colors and coded into levels of text and lessons and can be used for younger readers to upper level understanding. The pronounced characteristic is your child can expand and grow with the topic at hand without changing their text-book. Through open-ended questions and critical thinking “Wonder Why?” sections, a child can investigate astronomy in a mature way. The colors in this book are vibrant and the illustrations are worth taking a long looks at them. There are 15 chapters along with an introduction to astronomy section and a conclusion and glossary to support the child’s studies. 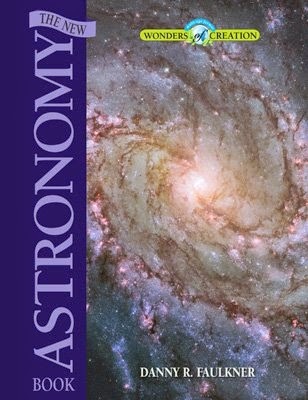 With plenty of food for thought and a pull out poster in the back this astronomy book is a great addition to your study library. Disclaimer: I received this book for free from New Leaf Publishing Group as part of the Moms of Master Books program. No other compensation was received and a favorable review is not guaranteed. Studies in World History Vol 1 for the Jr. High Student was a welcomed and timely review for me. In preparation for my next year of teaching middle school students I was looking for the perfect history curriculum. Actually, I can’t say that I have ever found the “perfect” curriculum in any subject area and this text was no different. I found many pros and a few cons to this text. I hold a two criteria as VERY important in a curriculum: ease of use for student AND teacher, meaty in content but not to over powering, these days short and sweet keeps their attention better as they need to apply information in small chunks rather in long drawn out text forms. The following is my take on it all. This book is very easy to use as far as curriculum goes. The student has 34 chapter broken into 5 short lessons. This is rare in a curriculum. Usually the history lessons are pages and pages long. I like the concise makeup of the lessons as a student can take the time to read the lesson (more than once if necessary, it’s really that short) and the teacher/parent can elaborate on the information as well. The lessons are prefaced with vocabulary and chapter learning objectives. The vocabulary is “meaty” and definitely challenging enough to be at the middle school level. The lessons have wonderful biblical integration that really draw in the content to biblical history. The lessons were created for 20-30 minute time frames which provides time for discussion and application through creative projects. I love the layout of the lessons/chapters. The content of the text, side note boxes and illustrations (although black and white pictures) really help the lesson come to life. Another great asset is the teacher’s guide. This book has laid out the entire year’s lesson plans in a calendar form. I love that I do not have to do that myself! It contains weekly exams and answers key and daily discussion questions and answers. This is a huge plus as everything is well-organized. The vocabulary is wonderful but they are labeled as “Concepts”. This can be confusing in that some students will see them as solely vocabulary if this is not clarified. Some words in this “Concepts” bank are highlighted throughout the lessons and some are not. The also do not seem to be listed in order of appearance within the text itself, both which make it easier on the student to follow a pattern as they learn the information. This is a concern to me because I teach students with learning differences and those types of predictable patterns really help some students focus levels so that they do not become discouraged in getting through the text. Another con is that I found the maps to be a bit confusing. One example is through much comparison I was able to apply the text and another labeled map to a blank map and get the blank map labeled as requested in the discussion question/test question. I have to admit I had to look at the teacher’s guide in order to pinpoint it completely and correctly. I know, without guidance, some of my students would not have made the connection either. I really want the discussion questions, to not be easy but, to create an opportunity for success rather than confusion. Overall, the text is worth the purchase and use. Like I said there isn’t a “perfect” text/curriculum anywhere-at least not one that I have run across. Dr James Stobaugh put together a wonderful piece here and I look forward to investigating more of his work. I received this curriculum as part of the Moms of Master Books Review Team bloggers program by New Leaf Publishing. All opinions expressed are my own.